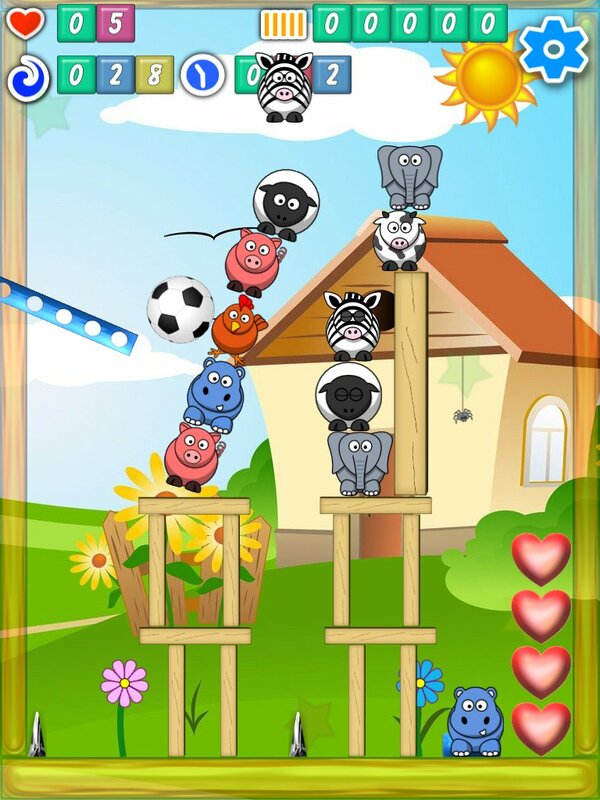 The aim of the game is to crack each puzzle by stacking piles of animals ever higher, the higher the stack the more points the animals score. 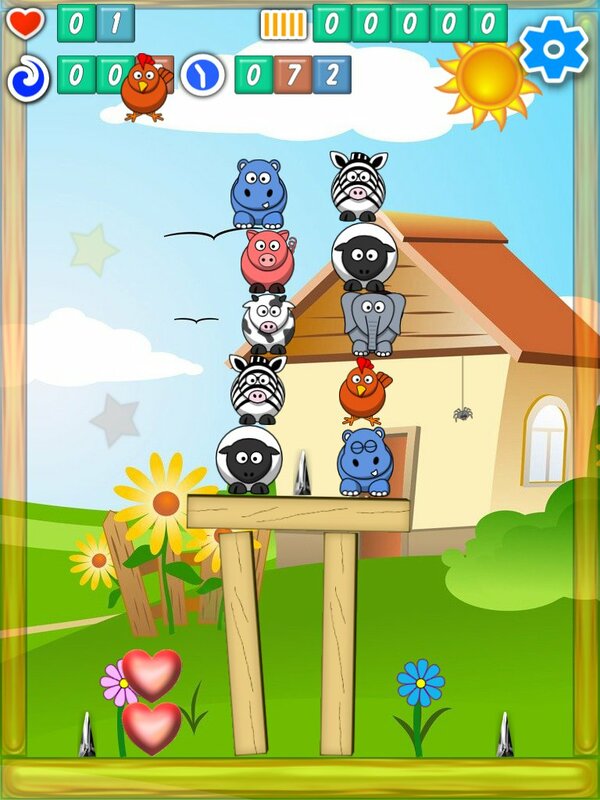 To beat a puzzle the animals must beat the target score set by the farmer. Puzzles start out simple, but soon become challenging including swinging crates, springy bridges, unstable constructions, traps, footballs and more. Absolutely no animals were harmed during the making of this game.